Paulo Coelho is unquestionably of the most successful authors of recent times, selling more than 100 million books in at least 150 countries internationally. Paulo Coelho has met with a lot of success; his books have been widely translated in a number of languages, earning him the prestigious Guinness World Record for most translated book by a living author and has received much honor. However, it should be noted that Coelho was not always necessarily celebrated for being the writer that he is today. 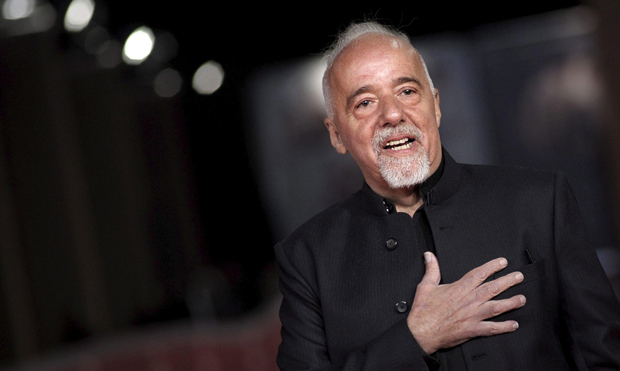 Paulo Coelho was born on August 24, 1947 in Rio de Janeiro, Brazil. As An adolescent, Coelho expressed a longing to become a writer. However, his mother was of the opinion that Coelho should do pursue something along the lines of his father, who was an engineer. This longing and unwavering determination ultimately led to his parents enrolling him in a mental institution. Coelho managed flee thrice and finally was released when he was 20. Paulo maintains that his parents acted out of goodwill. Coelho got admitted in law school for his parent’s sake in 1970, leaving his yearning to write. Eventually, he left and took up traveling to South America, North Africa, Mexico, and Europe. He engaged in drugs and lived as a hippie. He went on to work in all sorts of professions before returning to his original dream – writing. In his book the Pilgrimage, Paulo Coelho details a spiritual awakening when he walked more than 500 miles Road of Santiago de Compostela in northwestern Spain an event which changed his life. “Hell Archives” was Coelho’s initial book which was published in 1982 and was not well received. The Pilgrimage was released in 1987 which is a reminiscence of the spiritual awakening he went through. Later, The Alchemist was made available which turned out to be becoming one of the best-selling books in history, selling over 65 million copies. Coelho has published many other works which have also received critical acclaim, for instance; The Fifth Mountain, The Valkyries, Veronika Decides to Die, The Devil and Miss Prym, By the River Piedra I Sat Down and Wept, Eleven Minutes, The Witch of Portobello and Like the Flowing River. He has been married Christina Oiticica since 1980. Paulo is habitual contributor to society. He is a Messenger of Peace for the UN and Coelho established the”Paulo Coelho Institute” which offers aid to those who face financial issues.